FREE! Baby Carrier Giveaway - Enter Here! FREE! Baby Carrier Giveaway – This Stokke My Carrier Front and Back Carrier is perfect for little ones, age zero to three (33 lbs). We’ll choose one entrant to receive one, absolutely free! Maybe your grandkids are grown, or maybe they’re still little ones. Or, maybe, like me you have both. To enter the giveaway just send me an email with something you’ve learned…advice you would want to share with a new grandparent. That’s all. Short and simple. Serious or light-hearted. There are no wrong answers. 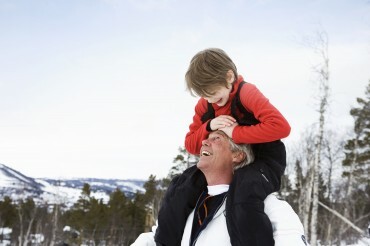 What should a new grandparent know, or what do you wish you had known? Please keep it under 100 words, way under is even better! We’ll choose five that we think new grandparents would especially benefit from and will pick one winner at random from those. The winner will be announced in the newsletter, and the advice will be shared with new grandparents. (By participating, you are agreeing that we can publish your advice.). So take a few minutes to tell someone what you think! Who knows what little nugget of information could change a new life? 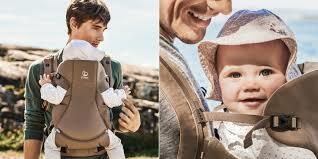 Baby carriers are meant to mimic in-arms carrying positions. Your baby should be in the same position in which you would hold him in your arms. Check your baby’s position by embracing him after settling him into the carrier; his position should not shift significantly in your embrace. Attend to and check on baby often, especially those under 4 months of age.